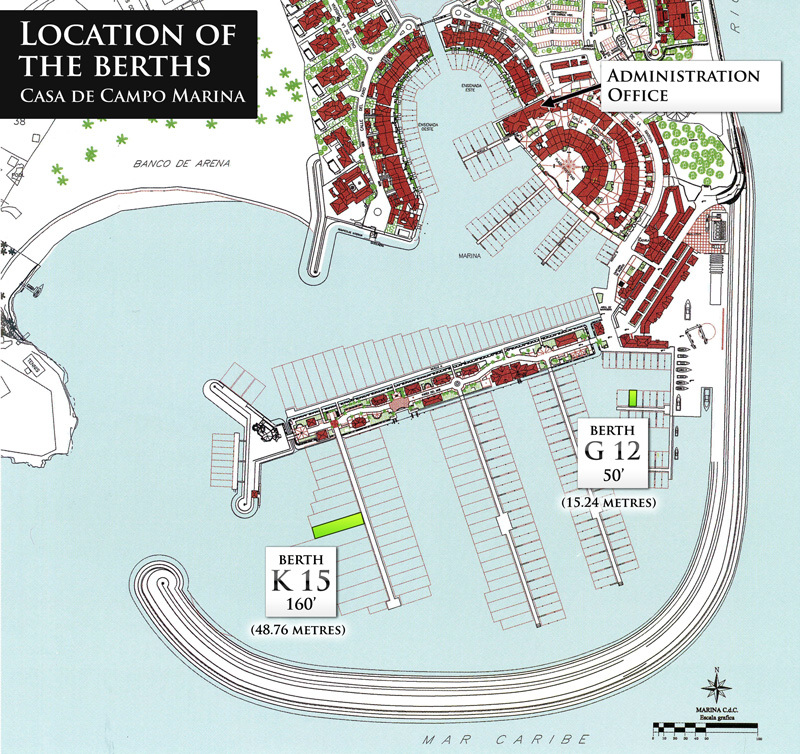 This is the second largest size berth available in the Marina. Located in dock K, directly facing the mouth of the Marina (click here to see a map), which is a great advantage as very little manoeuvring is required to exit the Marina. There are very few berths of this size in the area of the Caribbean, where there are in fact many large yachts. Therefore, it is a rare berth, hard to find and at a very competitive price for the area. The berth is for sale at a price of $480, 000.